Mod is still the same as before. Just new name and new functions! Have you ever had an inventory full of cobbleston pickaxes or other tools? Well I had the same problem and was fed up with it. That is why Inventory Power Mod is here! Gone are the days of inventories full of pickaxes, now is the time for 1 pickaxe. This mod is not attempting to degrade the use of the anvil but rather make it portable and cheaper to use. With this mod, if an item/ tool/ weapon/ armor is more than 10% damaged and is in your main hand, it will try to repair the item with items in your inventory. But its not what you think. You cannot repair a diamond pickaxe with wood. That would be too cheap. Your inventory will act like a portable anvil, minus the experience cost. Why stop there? 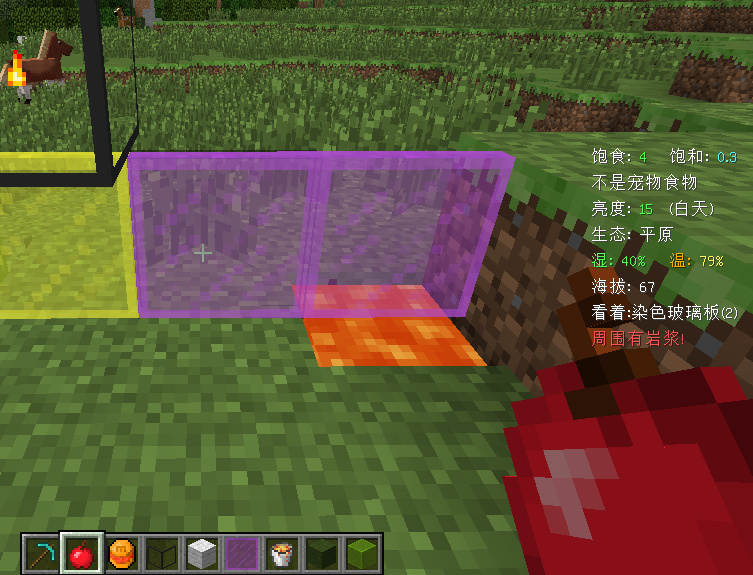 This mod also adds the ability to see what block you are looking at and tells you what item you are holding and if it has durability, how much damaged it is. There are many more features to come to this mod. To download the mod or to get more info, check out our CurseForge Page! Can be found on the CurseForge page. Find a bug or have a question? Post it below, on CurseForge, GitHub, or send me a PM! I will try my best to respond ASAP! Thank you very much! I am planning on adding a lot more stuff.